Whilst it seemed like the rest of the Xero community and ecosystem was being blown away by a bagful of game-changing new features at Xerocon South in Melbourne last week, making it to my 10th Xerocon had to unfortunately go on hold until London next month - due to an even greater calling in the new and very fast emerging market of South Africa. 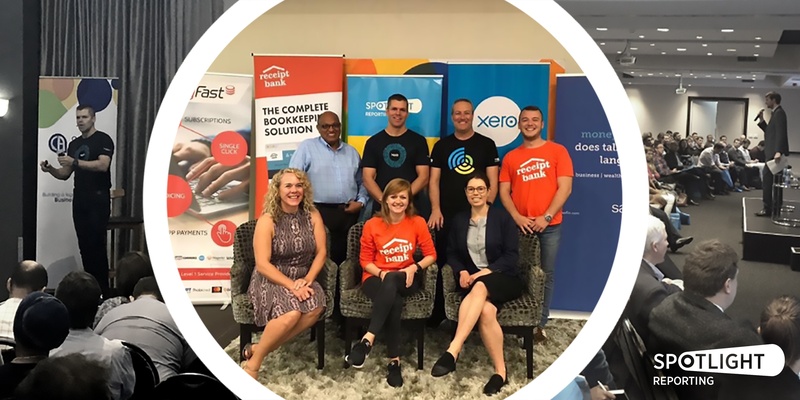 I was fortunate enough to be invited to present and be a panelist at the SAICA (South African Institute of Chartered Accountants) roadshow alongside Xero's Head of Accounting in SA, Colin Timmis, and Receipt Bank's Alex Clark. This was the first time SAICA had put on an event for their 40,000 members exclusively on digital disruption, cloud accounting and the internet of things - and the response was simply overwhelming. The schedule was full on, hitting four cities in four days. The numbers in attendance and the enthusiasm of the accountants made it all worthwhile, with genuine interest and excitement around where the SA accounting industry is fast heading. To pack-out all four venues - Durban, Bloemfontein, Johannesburg and Cape Town (with many more accountants online for the live webcast of the Jo'burg session!) was validation enough that the South African accounting industry is more than ready to embrace cloud-based technology and implement significant change, in fact, many firms have already well and truly made the leap to the cloud with great results. Keynotes by local entrepreneur Allan Knott-Craig and radio personality Aki Anastasiou set the scene for four highly interactive sessions around the benefits of moving to the cloud and bringing hugely improved efficiencies into the practice through the adoption of tools like Spotlight Reporting and Receipt Bank. South African accountants displayed a genuine enthusiasm around ridding themselves of the mindless tasks of data entry and time-consuming Excel spreadsheet data manipulation in order to free up time to spend it valuably advising their clients how to increase profitability and really grow their business. I had some very insightful discussions with attendees to learn about their perceived challenges faced in the South African market and it was encouraging to be able to provide them with the comfort that none were any different to those overcome in the more cloud advanced markets of New Zealand and Australia. The appetite of local SA accountants to wear a genuine 'trusted advisor' badge with pride and change the way they currently interact with clients was clear for all to see and I predict some rapid change and exciting times ahead in the fast awakening SA accounting market. Special thanks to Matt Knight and his team at SAICA for inviting me to present on behalf of Spotlight at the roadshow. The hospitality of the entire SAICA team was incredibly generous. It was fantastic to be part of such a significant milestone event in an exciting emerging new market. Xerocon South Africa 2018 in Cape Town hear you ask? Well I for one wouldn't be betting against it! And one thing is for certain, if it happens - Spotlight Reporting will be there with bells on!